Silk screen printed decal set using 12 colours to present both standard tank & side cover designs & logos AND a bunch of additional ones! 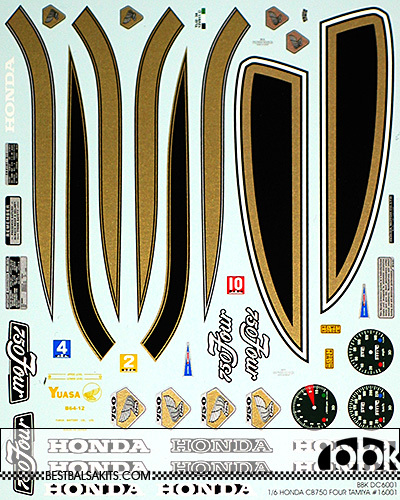 Set comes with rev & 2 speedometer decals (1 in km/h and 1 for mp/h), and also has some tech tags included which you won't find on the original Tamiya decal sheet. Superior quality garanteed!